That’s right…Strictly Come Dancing is back on TV and Strictly fever is here once more for the Autumn. Every year I marvel at the gorgeous costumes. Just how many crystals must be stitched onto each one? 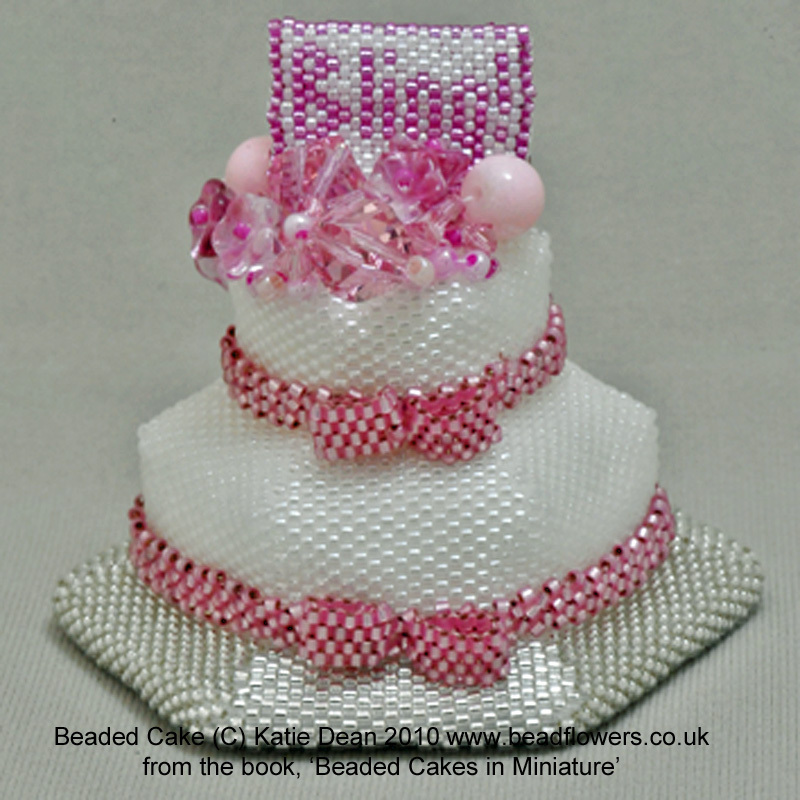 So, in honour of all things Strictly, sparkle and bling, I thought I would share some sparkly beading patterns with you. 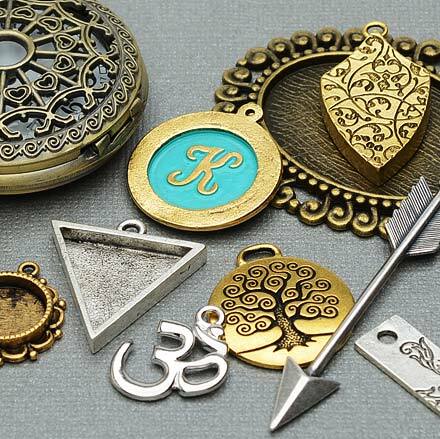 That way, you can create your own fabulous jewellery fit for a party, ballroom, or just your everyday enjoyment! If you like a bit of sparkle and bling (who doesn’t?! ), then these patterns use a lot of crystals. Before I get onto that, when talking crystal, we have to talk Swarovski. This is the crème de la crème of crystal. You may think that other crystals are good – and they are – but nothing sparkles quite like a Swarovski crystal. 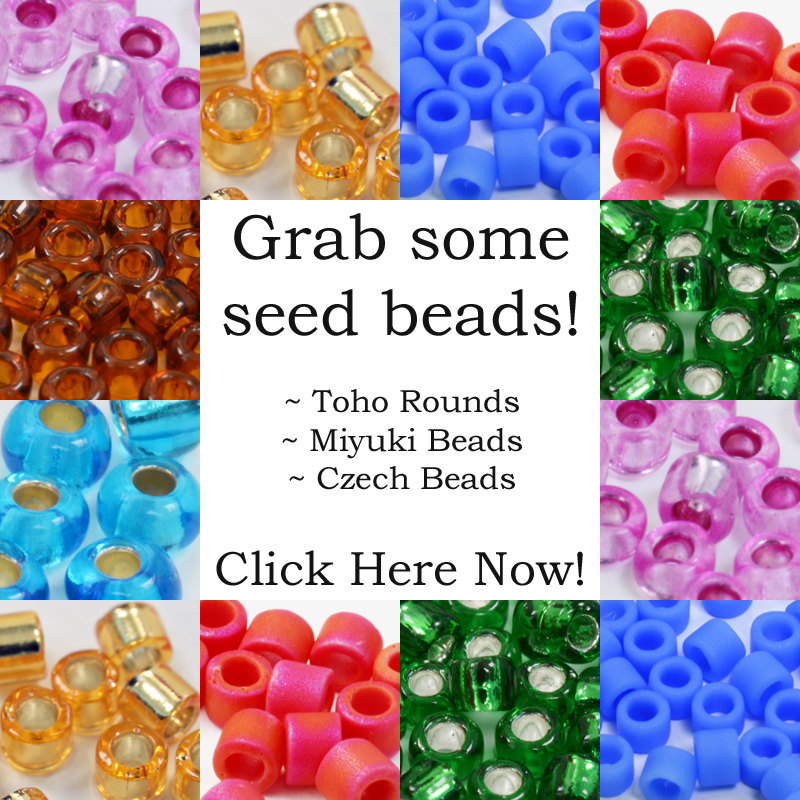 Their manufacturing methods are a closely guarded secret, but I can divulge one little fact about the reason for their sparkle. 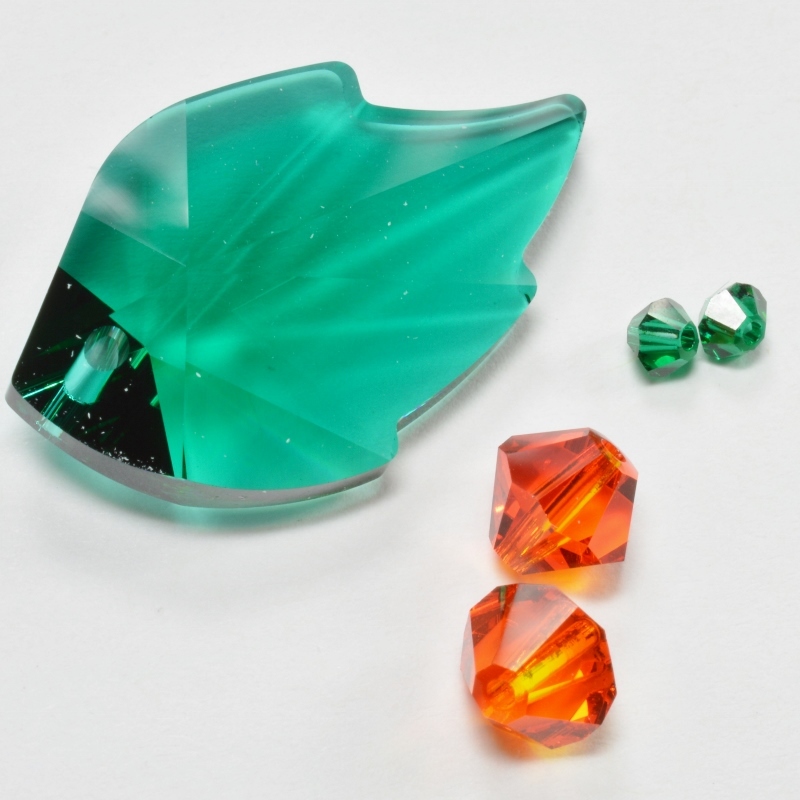 Their crystal cutting is incredibly precise, enabling them to cut even more facets into the crystal. The way in which the light bounces off these multiple facets is what gives a Swarovski crystal such a stunning look. If you are one of those people who thinks there is no such thing as too much sparkle, then this pattern is for you. Shibori silk sparkles (pictured above) features strands of glorious crystal beads and beaded beads. 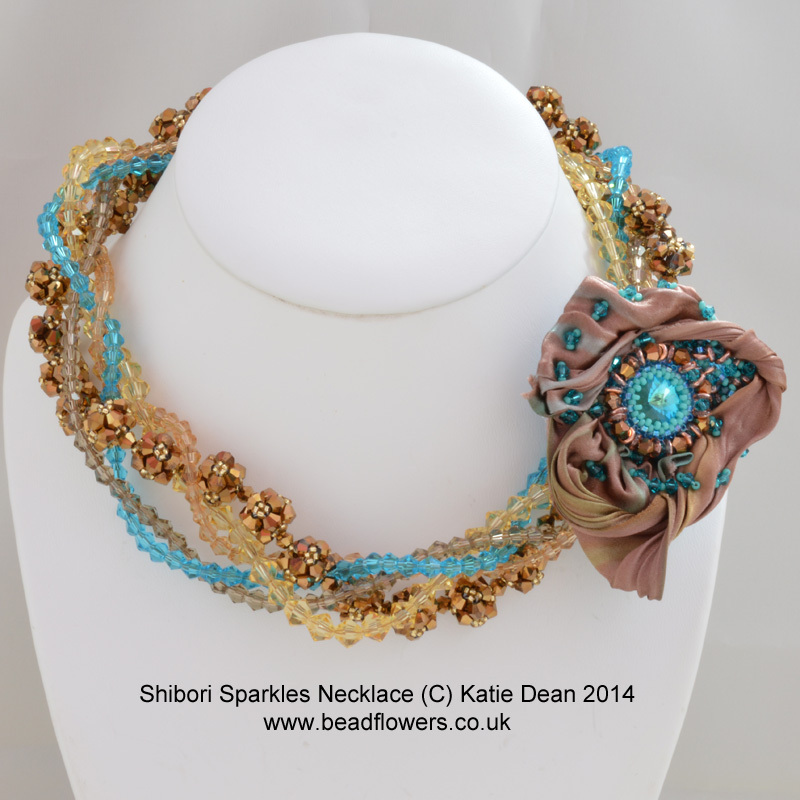 All this bling is fastened with a statement clasp featuring a Swarovski rivoli surrounded by Shibori Silk. You really could not wish for anything more feminine or glamourous. Download the pattern here. Elegant and simple, this necklace is perfectly stylish. The feature clasp picks up the main focal decoration with a subtle touch of sparkle. 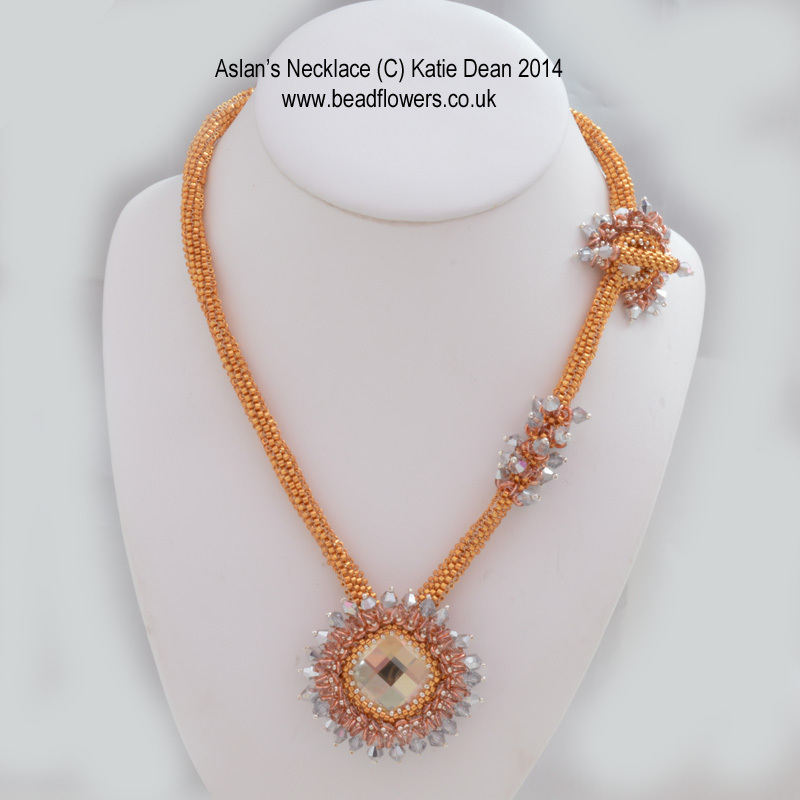 Built around a Swarovski focal bead, this is really nothing more than a pendant on a beaded rope. The crystal is what makes it strictly special! If this is your style, then grab the pattern here. 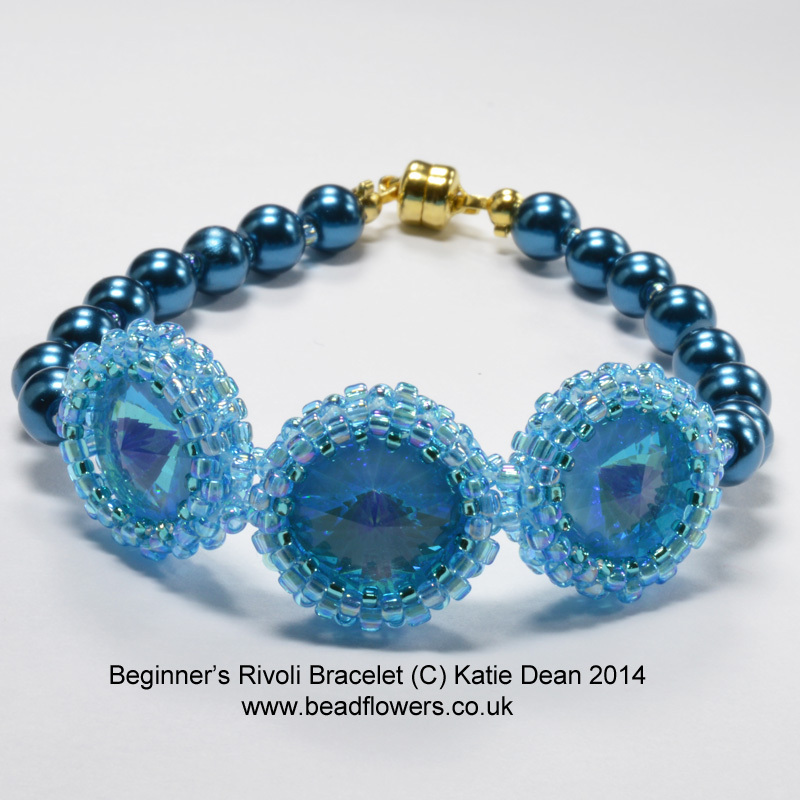 For a stylish, sophisticated bracelet with just the right amount of sparkle, try this pattern. 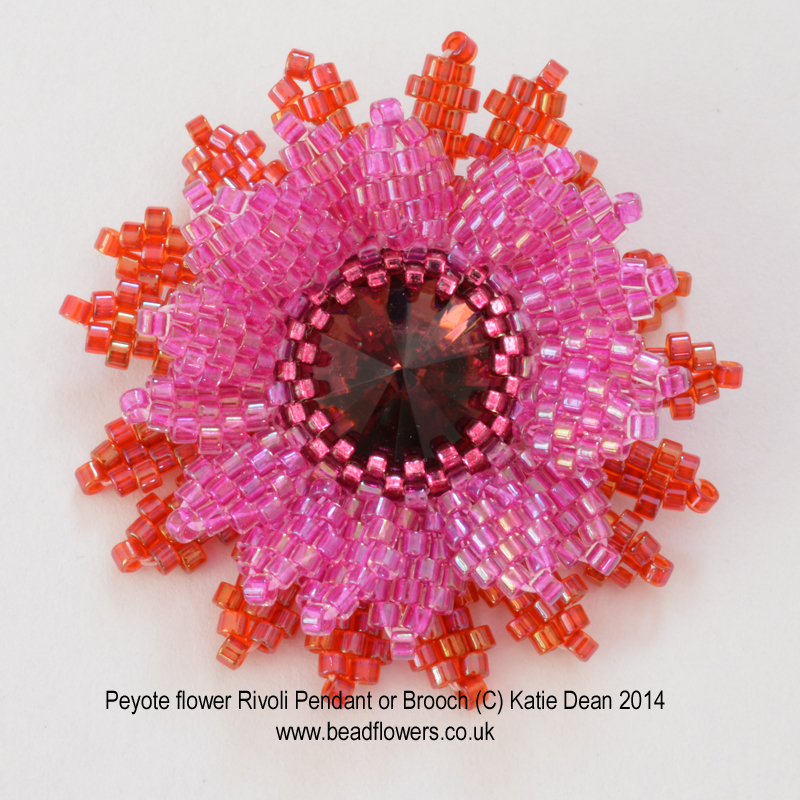 You will be combining Swarovski Montees with Quadratiles and seed beads to create this elegant design. 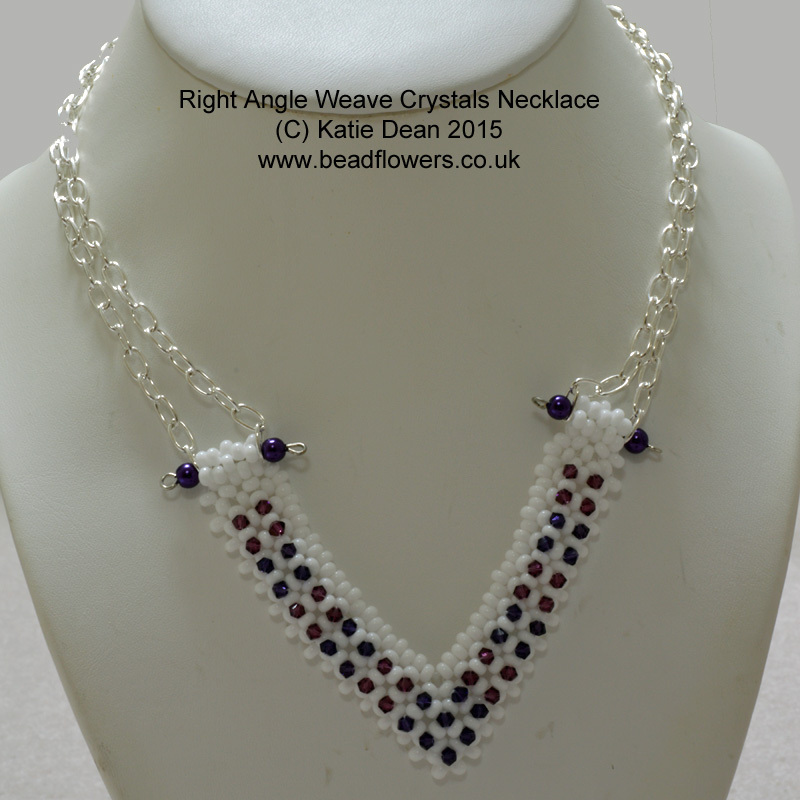 The metallic finish to the seed beads sets off the crystals just like a piece of designer jewellery. 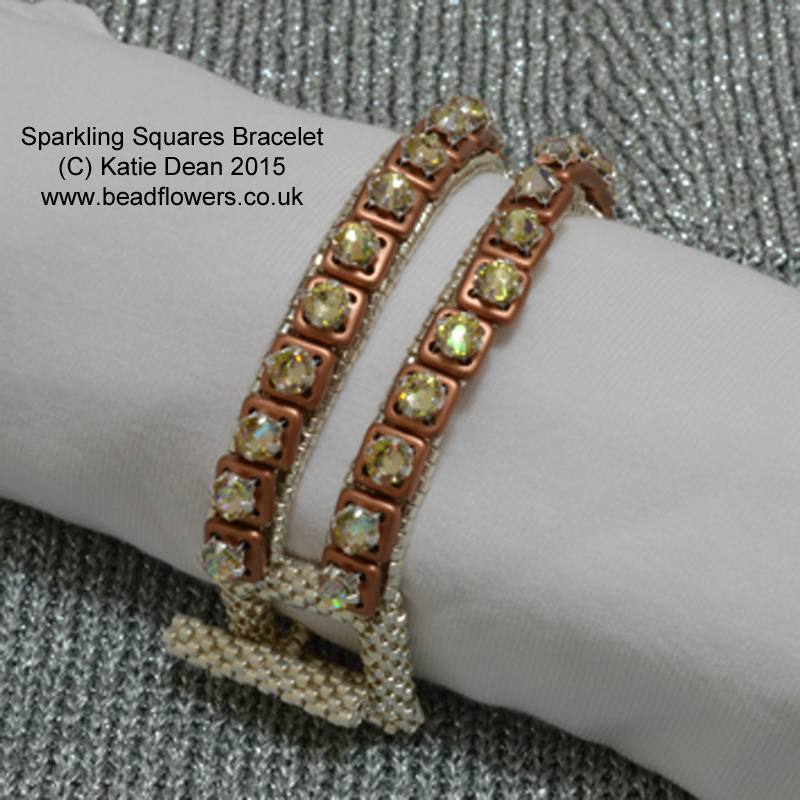 Your wrist will really sparkle as you are whisked around that dance floor in this bracelet. Download the instructions here. Now, all this crystal can be a little costly, so if you are working to a budget, I have some great ideas for you. All these patterns have one thing in common: they keep the crystal centre stage, but using small amounts keeps the budget down and lets the sparkle shine. 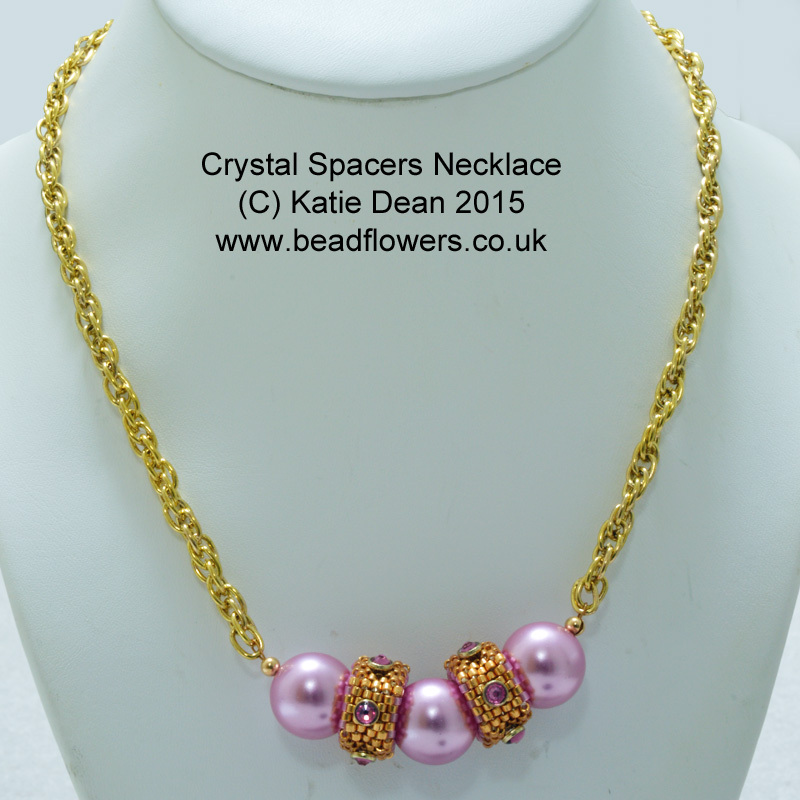 For a simple necklace that is perfect for both day and evening wear, these crystal spacers really hit the mark. Again, partnered with feminine pearls, the crystal is just enough to shine without overwhelming. 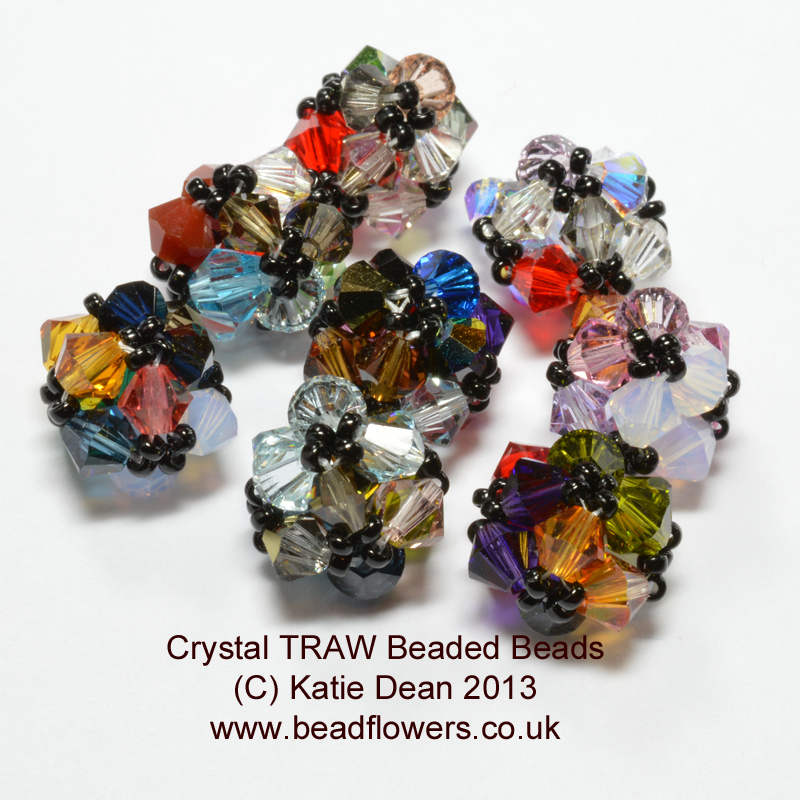 The pattern uses Swarovski crystalettes and just a single packet of these beads will suffice for this design. Download the instructions here. Keeping to the simple, quick and elegant theme, this necklace uses a matte background to make those crystals really sparkle. It has been designed to use just a single packet of crystal bicones, so it really keeps you happy on a low budget. Change up the colours and you have something fun for day wear or chic and sophisticated for a special occasion. Simple, stylish and right on trend with the focal section on chain. Get the pattern here. Back to those gorgeous Rivolis…You can different ways. So just one simple, glittering jewel becomes the focal piece for a whole design. In a nod to nature, this pattern shows you how to turn a Rivoli into a beautiful flower. 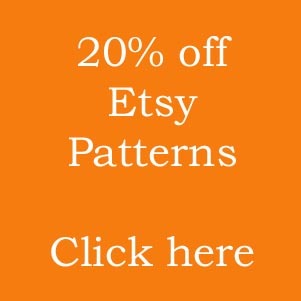 Perfect as a pendant or a brooch, it is a lovely simple pattern. You will be repeating the same technique over and over, so it is easy and relaxing to do. Download the Rivoli flower here. If you are looking for a project that doesn’t involve jewellery, then I have a couple of ideas for you. Let’s start with the Festive season. If that isn’t the perfect excuse for a bit of sparkle, then I don’t know what is! Both the Shooting Star Tree Ornament and the Star Decoration use a couple of Swarovski Rivolis to create some central sparkle for the design. If these tempt you, then you can find lots more festive ideas here. In another idea for celebrating special occasions with a difference, how about a cake. Sparkly, feminine, fun, even frilly, this design is perfect for anyone who loves sparkle. 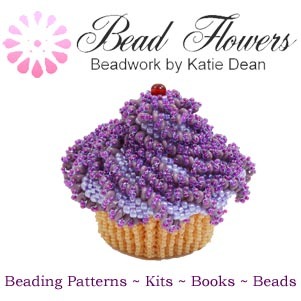 You can find this particular recipe for happiness i n the book, ‘Beaded Cakes in Miniature‘, so buy that and you will also get eight other designs for different occasions…something I like to think of as Strictly celebrating! Who knows, maybe a cake like this would bring a smile to Craig’s face! So, I hope that has given you plenty of inspiration for sparkle, glitter and all things Strictly. Do enjoy this year’s series…who do you think will win? !